OLD PARKED CARS. 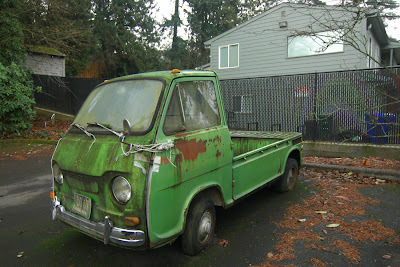 : 1969 Subaru Sambar. In-freakin'-sane find. I can't begin to describe how cool and amazing this is. Do you know if this is for sale!? I want it so bad! 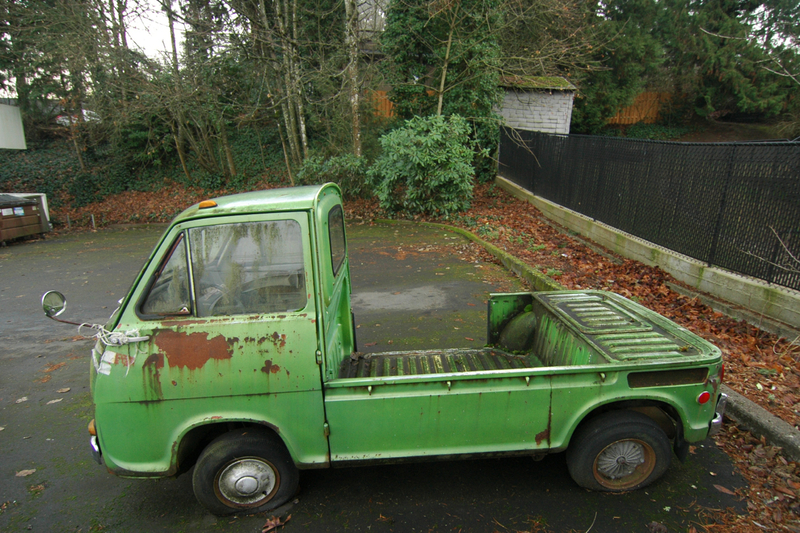 these things are wacky enough that i don't think anyone would own one in 2014 without some amount of smugness--they're collectibles, with nothing about them that isn't totally obvious--they're not really old parked cars. but this one somehow defies that truth. holy crap, what a beautiful little object; what fantastic surface texture. 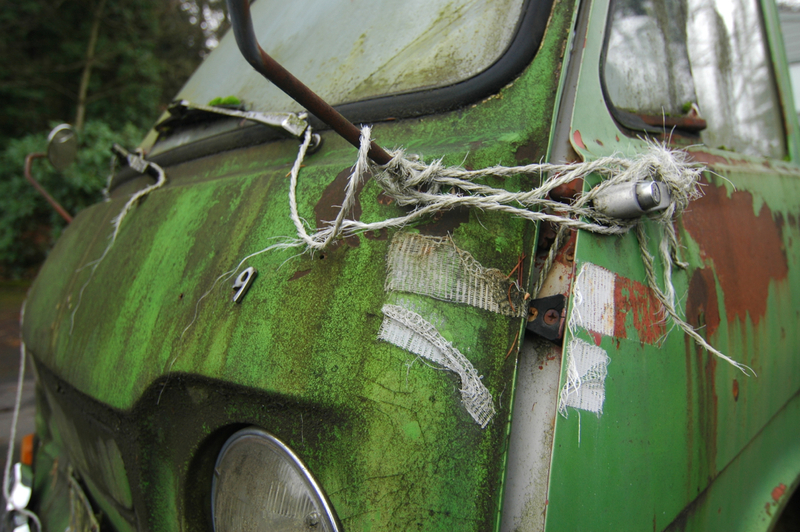 maybe this one acquired its patina over many long years of neglected storage. but maybe it worked hard all its life. i'm going to hold onto that fantasy. 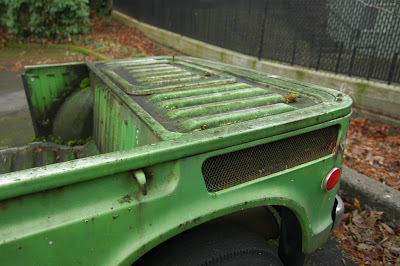 rear-engined pickup? somehow i never noticed the configuration. crazy. Awesome little Sambar. Could you take some pics of the Chevy in front of it? I predict that Chevy becoming an OPC in the future for sure. 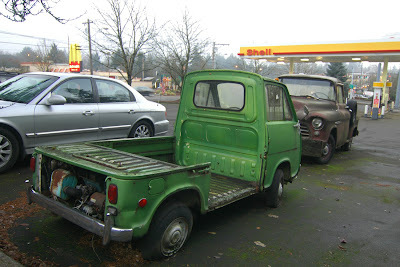 Anyways, awesome find, the pickup version of the Sambar is really quirky. like Tony said, nobody owns one of these without knowing what they have and why. 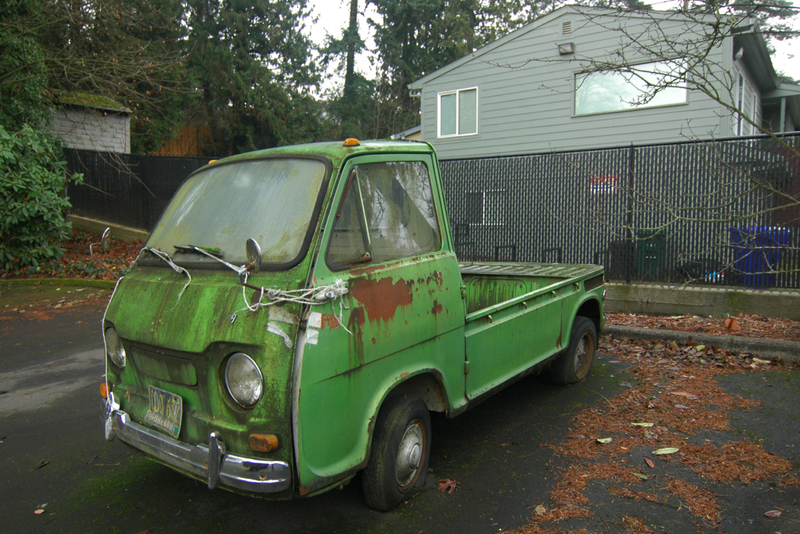 That said, if you could find the one Sambar driver in the PacNW that didn't own and operate it out of some form of contrived irony, the dude would still have a cultivated mustache and use the little truck to transport bike parts from his home to his workshop. He would just be the guy that did it before anyone else thought to. I just want to get that car and fix it up. Oh that's what that is! I saw one parked in front of a small country store outside Boaz, AL.